anymore, nor what was dangerous for me to eat, cholestrol was everywhere ... even choosing low cholesterol foods was no guarantee of success, as when following a low cholesterol diet, the body can still synthesise (make) cholesterol from some fats. My life was on the line and the information around me to develop a low cholesterol diet with was so poor, that I knew I had to find out most of it myself, and work out what was safe and what wasn't. My life literally depended on me developing a low cholesterol diet that would work well. It took several months to develop a proper low cholesterol diet, which latter blood tests showed worked extremely well. Starting a low cholesterol diet from scratch isn't easy, that's why there are several pages on low cholesterol diets on this web site, which I believe, fully enables anyone to immediately start on their life saving cholesterol diet, and then progress and develop a low cholestrol diet tailored to oneself. This low cholesterol diet page is the cholesterol diet meal planner. How long do I have to be on a low cholesterol diet? Help, I don't want to be on low cholesterol diet for the rest of my life! What can I do? That's it, I'm going onto cholesterol drugs, forget about the cholesterol diets and all that rubbish. I want my pies and sausage rolls and cream cakes. CHOLESTEROL DIET LIST A - The Low cholesterol, low saturated fat foods. CHOLESTEROL DIET LIST B - The high cholesterol, high saturated fat foods. CHOLESTEROL DIET LIST E - Variable cholesterol and saturated fat content foods. Why a low cholesterol diet meal planner? I realised when the research came out, which showed people didn't really understand how to formulate a low cholesterol diet, that just providing the foods that lower cholesterol naturally, the charts and so on, just wasn't enough to help people develop their own low cholesterol diet to fight high cholesterol. It may in some cases take many years for high cholesterol to kill, but if you don't know how to put a low cholesterol diet together, then you are either going to end up on cholesterol prescription drugs, which can have some pretty bad side effects, or end up dead. Then, as I went over the problem of how to make an easy to follow cholesterol diet, the idea of a low cholesterol diet planner came to me. The cholesterol diet planner is the next stage up from the sample cholesterol diet, but just below the level of full cholesterol awareness which can take some many months to reach, if at all for many - essentially you would need to understand almost everything on this web site. FACT: Most people on a low cholesterol diet AND who think that their low cholesterol diet has lowered their high cholesterol, have been mostly found to still be suffering from high cholesterol, because they haven't made the necessary dietary changes to actually lower cholesterol. Unlike the sample cholesterol diet which is aimed at the person who knows absolutley nothing about diets to lower cholesterol, but is told they need to, this cholesterol diet planner offers much greater choice of foods and the real option to experiment with combinations of foods. This cholesterol diet meal planner is much more user friendly than the cholesterol sample diet, in that you get a much greater say in what you eat, and still don't require a great understanding of how much cholesterol and saturated fat is in the food you are eating. Cholesterol diet list A are the foods you can eat freely from - from a purely cholesterol perspective any way - they are the very low cholesterol foods. Cholesterol diet List B are the foods that you should tend to avoid or eat only very, very sparingly - they are the very high cholesterol foods..
Cholesterol diet List C - about four portions in total a day can be selected from this group - they are the low cholesterol foods..
From cholesterol diet list D, two portions in total a day may be selected - they are the highish cholesterol foods..
Cholesterol diet list E are foods that require closer examination before you place them in your low cholesterol diet .. Cakes, for example, can have the same name, but have very different ingredients and very different cholesterol and saturated fat content as well. On a low cholesterol diet this list needs particular attention to detail. Using this low cholesterol diet menu planner, also allows a bit of give and take between the cholesterol diet lists C and D and, this is explained with each list - what can be swapped for what. The purpose of this cholesterol diet page is to make low cholesterol diet meal planning much, much easier, which it does. Our page on a sample cholesterol diet, is for the very beginner - follow the sample cholesterol diet and you'll likely lower you cholesterol real fast, but the foods may not be too your personal liking, and as far as cholesterol diets go, the foods you eat are very restricted. Our cholesterol and saturated fat food table / chart allows one to check the composition of many, many foods and may be very useful when you come across an item in cholesterol diet list E, or an item not covered here. KNOWING THE CHOLESTEROL AND SATURATED FATS OF FOODS, IS ALSO ESSENTIAL FOR ANYONE WHO HAS TO REDUCE CHOLESTEROL BY MEANS OF A CHOLESTEROL DIET. High cholesterol foods, or diets high in cholesterol, can increase cholesterol in your blood. Keep taking them and you keep your blood cholesterol levels high. The liver can compensate to some extent, but it can be risky relying on the liver to do this. Saturated fat, on the other hand, is processed by the body into blood cholesterol and it is therefore normally much more important to minimize the intake of saturated fat when on a low cholesterol diet. Answer - normally you have to be on a low cholesterol diet for the rest of your life. Don't despare, after a while you will learn to like the foods much more that are good for you. In fact, I now find many of the better low cholesterol foods, like wholemeal bread, very nice to eat, even though I absolutely detested the taste before starting my low cholesterol diet. That's partly true I think for all of us, we don't like being put on any diet, let alone a low cholesterol diet, because we have the wrong mindset and attitudes about cholesterol diets. One of the biggies for me was the very simple realisation for me, that the food I liked eating was killing me. If you found out your loved one had been poisoning you slowly, would you want to be with them anymore? No, you wouldn't, as they can't be trusted. It's the same with the cholesterol diet foods, they are your friends and allies, while the high cholesterol and saturated fat foods are your enemies, your poisoners. If you really don't want to be stuck on a low cholesterol diet for life, an option that has often worked, but not always, is to take up a job that is physically very demanding, or at least spend an hour or two in high physical activity every day. You would need to be physically checked for your ability to do this via your doctor. Pity, but that wont work either. The cholesterol drugs are an adjunct to the low cholesterol diet. When you are given the cholesterol drugs to take, your doctor will still expect you to follow a low cholesterol diet. You see, on a low cholesterol diet you are restricting the intake of foods that would otherwise cause your body to experience an increase in your blood cholesterol level. The main cholesterol drugs, the statins, work by attacking cholesterol synthesis in the gall bladder and liver, but do nothing to stop cholesterol coming from your diet. 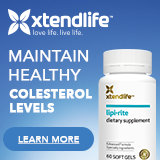 Hence to seriously keep your cholesterol levels safe, even when taking these powerful cholesterol drugs, you still have to pursue a low cholesterol diet. It is true that some cholesterol drugs, like Zetia - eztimibe can help reduce cholesterol absorbtion through the diet, but all prescription drugs are strong medications with potential harmful side effects. Zetia would normally have to be used in conjunction with a statin drug to lower cholesterol dramatically, doing so exposes one to the side effects of two powerful cholesterol drugs. Also, there are disadvantages you need to be aware when chosing, for example, Zetia over a low cholesterol diet. A low cholesterol diet means that your body is still able to absorb the fat in the diet, which means that a low cholesterol diet still allows fat soluable vitamins to be absorbed into the body. When one abandons the low cholesterol diet in preference for a drug like Zetia, you run the very real risk of becoming vitamin deficient and that can cause some pretty nasty side effects to. So, the low cholesterol diet plays a very vital and permanent role in keeping your cholesterol levels down safely. Why me? Why do I have to be on a low cholestrol diet now? 110,000 people search for "cholesterol diet" on the internet every month. When you add up everyone who is searching for all terms meaning cholesterol diet, such as "low cholesterol diet", "lower cholesterol diet", "cholesterol lowering diet", "diet high cholesterol" , "cholesterol diets", "low cholesterol diets" and so on, that figure reaches around 250,000 people every month. So believe me, the question perhaps should be "Why not me?" ! THE RECOMMENDED GUIDELINES FOR THE DAILY DIETARY CONSUMPTION OF CHOLESTEROL AND SATURATED FAT, FOLLOWED BY THE PRECAUTIONS AND WARNINGS YOU NEED TO BE AWARE OF WHEN TRYING TO REDUCE CHOLESTEROL THROUGH A LOW CHOLESTEROL DIET have moved to our cholesterol and saturated fats guidelines page. So, after reading this cholesterol diet page, you should know what you can eat without aggravating your cholesterol levels. I think you will find that we cover most of the foods you are familiar with. Remember to check out our other pages for more cholesterol lowering information. THE PILLARS OF THE LOW CHOLESTEROL DIET - THE SAFER FOODS THAT ARE BOTH VERY LOW in CHOLESTROL AND VERY LOW in SATURATED FATS. Remember though, that on a low cholesterol diet, you still have to monitor your waste size - nearly everything has some calories ( kilojoules ) and the fatter you are the higher your cholestrol is likely to go. Fruit, and pure Fruit juices (Exception to, being avocados). Fruit bars with no added fat nor added nuts appear fine. Vegetables and Vegetable juices - steamed, boiled, raw. Can be cooked with a small spray of cooking oil in a pan etc. It's the fat you add to them that's the problem. Breakfast Cereal products except those with added ingredients for eaxample corn flakes are fine, but with nuts are not fine. Added fruit is fine. Cereal eaten as is or mixed with skim milk or water. Sauces ( but not tartare ), Light Salad dressing, No fat mayonnaise. Spreads: vegemite, promite, marmite, honey, jam, marmalade, fish paste are fine. Soups - canned and packet varieties ( but not creamed, nor ones mixed with whole milk ), any that are fat free. Plain popcorn (no added fat nor oil), jelly desserts. Non fat milk or skim milk. Low fat soy drinks. Yacult. Non fat or skim yoghurts. 99% fat free cheese. Gelati - non milk. Fruit Ice confections - non-milk types. Cheddar cheese - for some reason still unknown, does not appear to increase cholesterol, even though it should! Cooking oil spray - 1 second spray - but only because very little oil is used in a 1 second spray. So you still need to watch how much you spray on. Biscuits : Plain cracker biscuits, Ginger Nut, Marie - but always check the label to make sure. Lollies: Sugar and or gelatine one, like jubes, snakes - but the calorie count is high. CHOLESTEROL DIET LIST B contains the foods with such high cholesterol and or saturated fat, that they are almost poison to someone requiring a low cholesterol diet. These foods really need to be avoided or taken very sparingly. Make sure to monitor these foods in your high cholesterol diet really, really closely. Full cream milk, butter, (both saturated fat and cholesterol are high) - I have about half a glass of full cream milk per day - mainly in my coffee. Goats milk ( both saturated fat and cholesterol ) . Yoghurt ( saturated fat and cholesterol ). Ready to eat ice cream serves, like drumsticks, cornetto's ( high saturated fat, high cholesterol ) - I have one serve per week. Coconut milk and coconut cream (high saturated fat). Egg yolks (high cholesterol), but the egg white may help to neutralise the cholesterol - I have about two eggs per week. Chocolate (high saturated fat and high cholesterol) - I have a few little squares of chocolate per week. As a rule of thumb, a filling in the chocolate means you are only eating about half chocolate, half filling, by weight or volume. Chocolate is almost universally liked and available, but a SMALL square of chocolate weighs about 5g and contains 1 gram of saturated fat and 5 milligrams cholesterol. Eating two, 100 gram chocolate bars a day, is more than likely going to kill you in some years. Chocolate is to humans as rat bait is to rats, it just works a bit slower, so needs to be consumed in strict moderation on a low cholesterol diet of any kind. Souffle ( high cholesterol ). Most take away or fast foods ( high saturated fats and high cholesterol content ) , such as deep fried chiko rolls, chips, fish and chips, meat pie, pastie, sausage roll, spring roll, pizza, chicken nuggets, shakes, milk shakes, anything fried, ham burgers ... Though some shops do cook in cholesterol free, saturated fat free vegetable oil, which can make a big difference - I have one or two serves per week, mostly reheated in the oven on a tray to remove some of the cooking oil that soaked into the food. Bacon and egg Mc muffin from mcDonalds has the maximum daily cholesterol allowance and about 1/3 the daily allowance for saturated fat! Veal parmigiana (high saturated fat) - partly because it's average serving size is around 300g. A HALF serving size is included in Cholesterol Diet List D.
The saturated fats and cholesterol in this cholesterol diet list are not so bad and can be eaten with some safety, by restricting consumption to no more than four portions in total. NOT four portions from each food. TO REDUCE CONFUSION, ALSO PROVIDED IS THE AVERAGE SERVING SIZE PLUS GRAMS OF SATURATED FAT AND MILLIGRAMS OF CHOLESTEROL FOR THE AVERAGE SERVING SIZE. Please note that you can alter these cholesterol dietary suggestions to suit your self. You can say, "Alright, I'm allowed four servings from this list, but if I choose the lower saturated fat and cholesterol ones, then I can increase my serving size or have another choice or two." It's fine to do that! Even sensible if you don't have to lose weight. As a guide, for this cholesterol diet list, try restricting the total saturated fat to around 12g and the total cholesterol to around 80 milligrams. Reduced Fat, low fat or light milk - 250ml cup - SFat(2g) cholesterol(12mg). Ice cream, low fat - 100ml scoop which is about 50g - SFat(1g) cholesterol(5mg) . If given the choice between one scoop of normal ice cream or three scoops low fat ice cream ... well, which would you choose? Cream, not whipped - 1 tablespoon or 20ml or 20g - SFat(4g) cholesterol(20mg) - Two tablespoons whipped cream is equal to about one tablespoon of the not whipped. Cream, reduced fat types, not whipped - 1 tablespoon or 20ml or 20g - SFat(3g) cholesterol(15mg) - Two tablespoons whipped cream is equal to about one tablespoon of the not whipped. Toffees - 4 toffees, 30g - SFat(2g). Mayonnaise - 1 tablespoon, 25g - SFat(1g) cholesterol(10mg). Most people use half this quantity. The following cholesterol diet foods contain a bit more saturated fat and or cholesterol than those found in the cholesterol diet list above. These foods are DEFINITELY TO BE EATEN IN MODERATION in any cholesterol diet. I would suggest no more than two average servings a day (preferably one if you fall above the "Borderline" cholesterol level). AGAIN, TO REDUCE CONFUSION, ALSO PROVIDED IS THE AVERAGE SERVING SIZE, GRAMS OF SATURATED FAT AND MILLIGRAMS OF CHOLESTEROL FOR THE AVERAGE SERVING SIZE. Like with the earlier cholesterol diet list, you can mix and match. The target is about no more than about 16g saturated fat and 220 milligrams of cholesterol. On a severe low cholesterol diet, the milligrams of cholesterol is restricted to 120 milligrams in total from this list - Please read the guidelines below this list for more information. You can choose to NOT eat from this list and increase your servings on the previous list C, quite considerably - about 9 servings in total from list C, if you eat nothing on this list. Beef steak - 150g raw - SFat(6g) cholesterol(100mg) - removing the fat will generally lower the saturated fat by about half, but has little effect on the cholesterol. Hamburger patty - 2 x 100g raw patties - SFat(14g) cholesterol(140mg). Turkey, roasted - 100g - SFat(1g) cholesterol(90mg). Remove the skin before eating and you halve the saturated fat and cut 30 milligrams off the cholesterol content. Turkey, roasted, skin removed after cooked - 150g - SFat(1g) cholesterol(90mg). Chicken, skinless and baked or roasted - 100g - SFat(2g) cholesterol(90mg) - leaving the skin on generally doubles the saturated fat content. Most frozen meals - 1 meal - SFat(4 gram or less ) cholesterol(65 milligrams or less ) - check the packet to be more specific. Spaghetti and meatballs - 1 can, 440g - SFat(8g) cholesterol(80mg) - check the packet to be more specific. Ravioli - 1 can, 440g - SFat(8g) cholesterol(80mg) - check the packet to be more specific. THE FOLLOWING FOODS NEED YOU TO INSPECT THEIR COMPOSITION AND OR INGREDIENTS LISTS TO DETERMINE CHOLESTEROL AND SATURATED FAT LEVELS. Please note that cakes differ markedly in their cholesterol and saturated fat content, simply because the same cake can be made with butter, or margarine, or oil as well as different quantities of ingredients. With cakes you really must get into the habit of reading the composition label to know what you are eating. If butter is used instead of margarine or oil, the saturated fat is often quadrupled - increased four times or four fold - and the cholesterol doubled. Cakes with eggs in them have much higher cholesterol. Putting real chocolate in cakes etc also can substantially increase saturated fat and cholesterol in the food. This would belong in the Cholesterol Diet List B grouping: Lamington, chocolate or strawberry, margarine or oil, plus egg - 1 normal size, 75g - SFat(3g) cholesterol(95mg) - interesting thing is that pectin, a natural cholesterol reducing fibre source, is sometimes put in lamingtons. If you were to add real chocolate buttons into the lamington, it would be more like a death trap. Is free of saturated fat and free of cholesterol. Consuming ONE standard drink at dinner pushes up the hdl cholesterol level in the blood (that is the good cholesterol) by a small amount, but, if used above one or two standards drinks per day, alcohol damages the body in other ways that cancels out the benfits of alcohol on cholesterol. Certainly, if one is NOT already drinking alcohol, the advantage from drinking alcohol, when weighed against it's disadvantages, makes it a dud as a therapeutic treatment. If you are not already drinking alcohol, then it appears alcohol should be avoided on a cholesterol diet. Alcohol in cakes and so on may add flavor, but new research tells us that only about 10% of the alcohol is evaporated off for each hour of cooking. For example, after 6 hours of cooking, only 60% of the alcohol has evaporated off. Alcohol added after the cake is cooked, is just like drinking alcohol. As you can see, a low cholesterol diet needn't be overly food restrictive and can offer you quite a variety of foods to choose from. The key to long term success with a low cholesterol diet is to continually monitor the cholesterol and saturated fats in the food you eat, to make sure no bad stuff gets back in. As with most things, moderation in a cholesterol diet is often preferable to outright avoidance, as our bodies do need cholesterol and fats to work properly to achieve a long life. Finally, you are not alone, in any given month there are about 200,000 people searching out information on low cholesterol diets.